A visit to a thriving home for nature reserves and hundreds of vanishing species that exists within Delhi itself gave an uplifting day to people in Amrita SeRVe’s Desh Dekho program. Yamuna Biodiversity Park is groundbreaking in the way it provides ecological, cultural and educational benefits to urban society. The park is home to 457 acres devoted to restoring the natural ecosystem along the degrading banks of the Yamuna river. In a short 14-year period, it has again become home to a biologically rich wetlands and grassland community. A wide variety of fruit yielding species of trees and medicinal herbs are also making it home. Through the work of devoted biologists, native flora and fauna that existed hundreds of years ago, but then all but disappeared, are taking birth again. 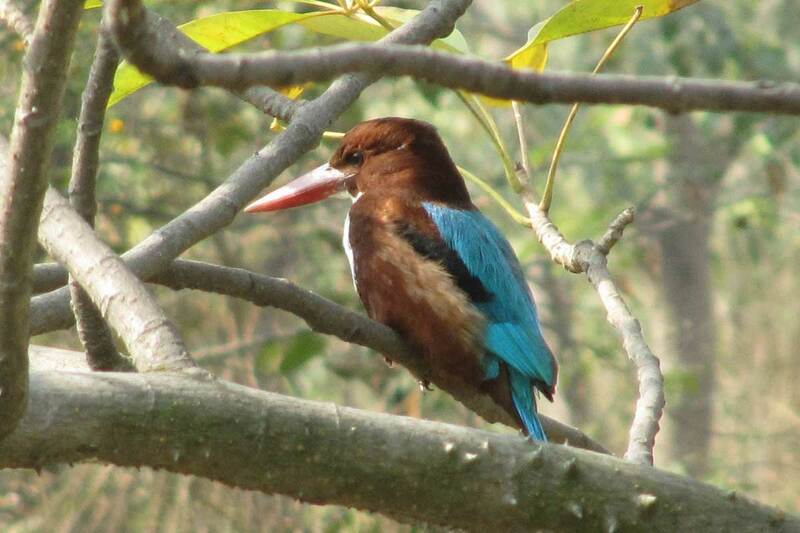 Yamuna Biodiversity Park also acts as a natural conservation site for certain endangered plants. 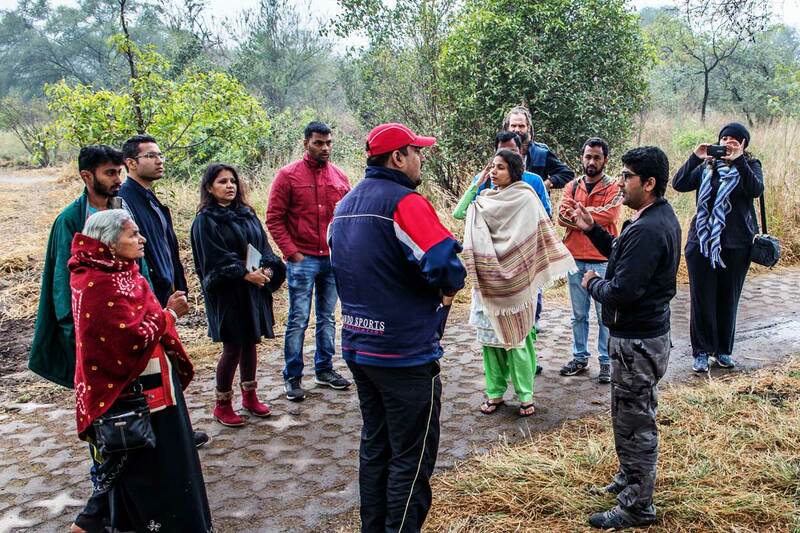 Faiyaaz and Pranjal took the Desh Dekho team through the park and explained how within two to four years, scientific intervention has helped bring back the lost glory of those river banks. It is a wonderful example of how in a short time, nature can rejuvenate itself and myriad life forms can flourish interdependently. In effect, the park is teeming with life and has even had a leopard come to visit. The presence of natural predators is proof of the success of reviving this natural setting.